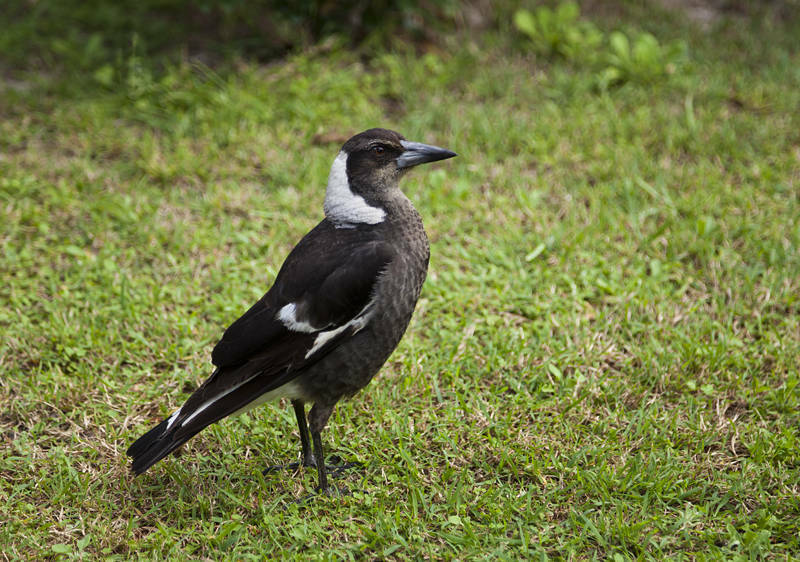 This juvenile Australian magpie has been hanging around our garden on the Gold Coast. This was the first time I have seen it without its parents. It was busily hunting bugs in the grass this afternoon. The adult bird has black and white feathers like magpies in the UK although it is more closely related to a Currawong.